Enter a world of mystical fantasy and ride the majestic unicorn through the magic forest. This simple is a 5 reel slot perfect entry point for any newcomers to learn about the online gaming world with its alluring ethereal feel and free game bonuses. But if you look for a different kind of game, feel free to take a look at our new slots. Party Gaming was founded in 1997 with the intention of creating some of the best online slot games to grace the casino market. After initially cutting their teeth developing online poker sites and other subsidiaries they eventually swapped markets and began to develop tremendous online slot games such as this one. Enjoy the glitz and the glamour that Unicorn Legend has to offer. Unicorns have long been the animal of choice for dreamers and fantasy enthusiasts, the mythical white-maned creature with the horned four head is certainly an area of folklore that isn’t going to go away. Unicorns, after all, are essentially horses in fancy dress. In respect of this Unicorn Legend is an immersive slot game. Aside from this game, you can look into our list to know more about our best slots games. 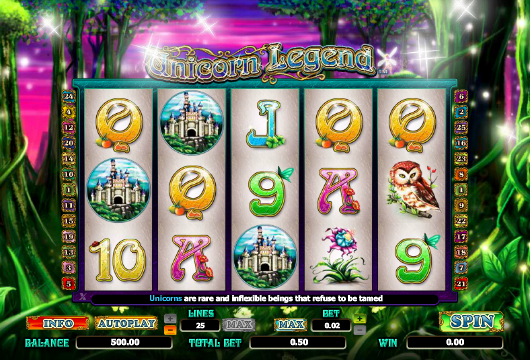 Unicorn Legend is similar to other online slots in the sense that it incorporates the usual 5 reel, 25 payline set-up and uses it to its advantage. Not as simplistic as a three reel but also not as confusing as those 10 reels, side reel, bonus game online slots that are becoming visible on the market. When you begin to play this game you will be greeted with some immersive visuals that show you blinkering fairies gliding across your screen and adding to that enchanted aesthetic that this game strives for. In terms of the appearance of this game, the game board hovers in front of an enchanted forest, not just any enchanted forest, though. This one is filled with neon greens, pinks and purples, and looks as if the saturation slider was pushed too far to the right. The soundtrack certainly takes this game up a peg and creates the experience of adventure and wonder as you trek through an overgrown forestation. If you’re unsure about staking real life money on this game straight away then why not cut your teeth on the free play mode. You can play this game for all its worth, without losing a penny. This also means that you can gain experience and a feel for the swing of the reels before you stake the real cash. Gamers can place bets for as low as 2 pence, however, if you’re feeling lucky or simply have money to burn then you can bet up to £250. The lower valued symbols on this game are obviously the letters symbols, despite their low value, the developers have done a great job at making them look decent and in line with the themes of the game. The higher valued symbols that are really going to help you generate that sweet, sweet cash and free spins are the flowers, owls, and castles. Perhaps it’s the aesthetics of this game that really draw the gamers in, or perhaps it’s the bonus features, maybe a bit of both. Aesthetically, this game has the power to transport you to another realm, a trippy universe of gaudy colouring and fictitious wildlife. Unicorn Legend does have one additional bonus feature that will bring your slot gaming experience to another level. 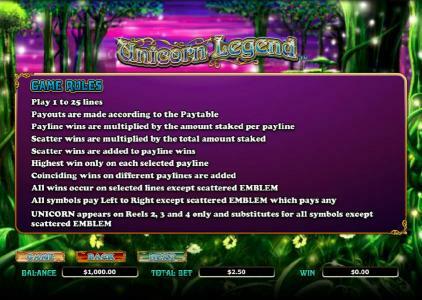 Secure the much revered free spins when you land the Unicorn symbol on reels two, three, or four. Doing so will activate the mini-game where you can choose between 10, 15, or 20 free spins all coming with multipliers of varying intensity. 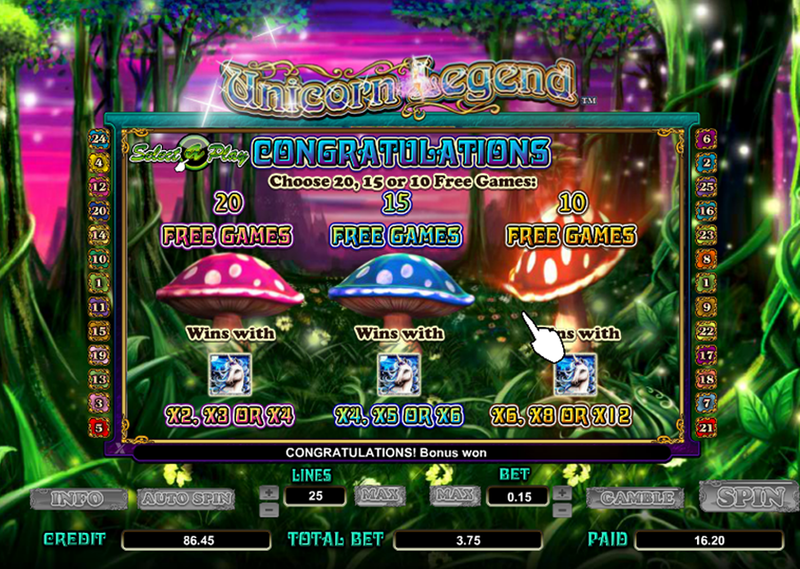 Unicorn Legend is a great online slot game with an intense fantasy theme. This perhaps is enough to attract all sorts of gamers alone. In addition, it’s a 5 reel of both simplicity and class, this along with the great bonus feature will have players spinning and depositing forever more. 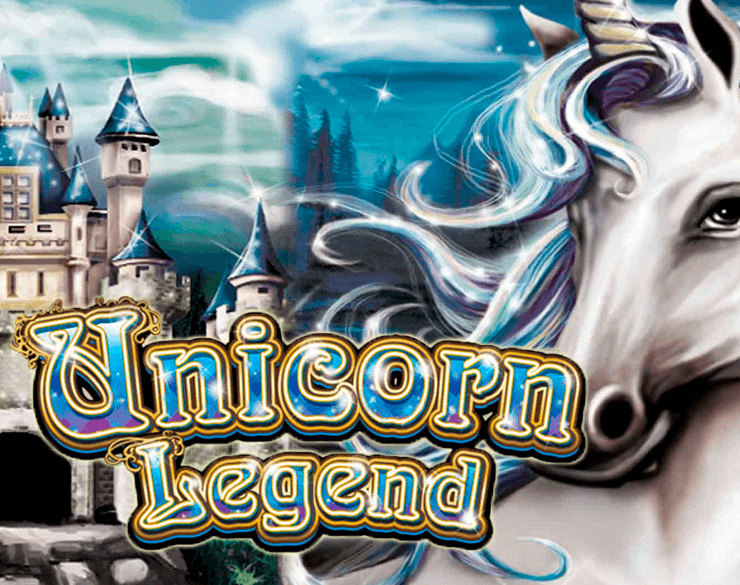 Play Unicorn Legend today, and discover your fortune. Wizard Slots rates this game 9/10. If you love Unicorn Legend then you'll love Lucky Bakery Slot .